It is generally a wrong perception that people, even some Feng-shui 風水 masters thought 8 Mansions 八宅, Xuan-kong Flying Stars 玄空飛星, Xuan-kong Da-gua (Hexagrams) 玄空大卦 , etc. was considered as Feng-shui. Yes, they surely belong to different Feng-shui schools, but mostly just the Energy aspects of Feng-shui. A complete Feng-shui theory would have composed of both the Terrain 巒頭 and the Energy 理氣 Theories. These two theories are not independent to each other but closely related. Energy exists in the form of mountains. (We know) The energy exists because mountains exist. Energy is the mother of rivers. (We know) The rivers exist because the energy exists. (This is why) The “Classic” said, “Because of mountains and rivers, there exists living creatures.” Energy runs underneath the surface of earth. It runs because of the terrain (running from high to low). It agglomerates because the terrain stops (by the waterfront). For burial, (we have to) find its origin and mount on where it stops. The Chinese character “Feng” means wind while “Shui” means water, but the term Feng-shui nevertheless has any direct relationship with the air movement – the wind. The term Feng-shui was first introduced in the “Book of Burial”. It is obvious that Feng-shui is related to terrain. By applying the appropriate Energy theory, there comes good Feng-shui. YANG, as the Great Grand Master of modern Feng-shui, would definitely know the inter-relationship between the Terrain and the Energy Theories. However, what is his viewpoint regarding terrain was not normally emphasized. In his book titled the “Classic of Shaking the Dragon” or “Han Long Jing” 《撼龍經》, he reveals his Terrain Theory in great details. “The Collections of the Terrain Theory from the Great Grand Master YANG Yun-song” focuses primarily on the “Classic of Shaking Dragon” and delivers a convincing interpretation of YANG’s theory. Also includes his book titled the “Classic of Questioning the Dragon” or “Yi Long Jing” 《疑龍經》, a FAQ of the “Classic of Shaking the Dragon”. Reveals the details of what does it mean by YANG’s Terrain Theory through the interpretation of the “Classic of Shaking the Dragon” or “Han Long Jing” 《撼龍經》. Covering the rhymed poems of the Ghost Mountain, Nine Stars, as well as the “Classic of Questioning the Dragon” or “Yi Long Jing” 《疑龍經》. 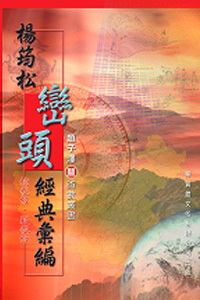 This book is written to clarify YANG’s Terrain Theory through the interpretation of his book titled the “Classic of Shaking the Dragon” 《撼龍經》 and is recommended as a reference book to Feng-shui practitioners.